The one fact that really amazed me that it said todays learner will have 10-14 jobs by the time they are 38! Now it is unclear as to what types of jobs they are including in that description. I’m only 26 and I have only had about 5 jobs. And I’m not even a “job hopper.” Now that does include part-time jobs. But I have a friend from high school that gets bored and has had a TON of jobs. He told me he had 14 jobs before he turned 21. Maybe people like him are skewing the curve. But basically I think they are saying that people won’t work for the same company for 50 years nowadays like they did even 10 years ago. This might sound dumb but did anyone ever notice that on TV people are always, “Going to the Market.” They are never going to the grocery store? I always find that strange. I’ve never lived anywhere when people told me they were going to the market. They always say I’m going Grocery Shopping or I’m going to the store. Please ignore these random facts from my brain. Thanks to Pinterest I found this really cool website called Teachers Pay Teachers. It has a lot of really neat printables, powerpoints, handouts and worksheets on all topics. I tutor Math and found a really good one on Surface Area which is something I and EVERYONE I tutor always struggle with. There are even some religious printables. Some are free and some you have to pay but the most I have seen is about $5. From the looks of it anyone can join and anyone can upload files to share. It’s tax time. Confession: I love tax time b/c I can always use the extra money I get in my tax return. I use an awesome program called TAXACT. It’s free and just asks you questions. I wrote about it earlier in the week here. Via my twitter stalking of the Technology Conference I went to last year I found this cool Brain Storming website called Wall Wisher. It looks like a really neat way to share content and brain storm with different mediums. You can see a sample here. 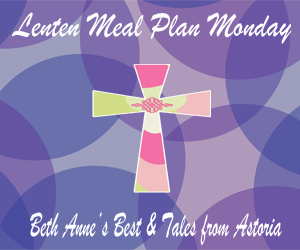 To get you started go check out my Lent Foods Meal Board on Pinterest. #3 kills me too! I hate when people don’t talk like they do in real life in books and tv. #5 We are taxact believers! I found it a few years ago when I was looking for something affordable and it is awesome! Thanks for the tip about taxact! I will have to look into it. You are a math tutor?! o.O Dang, girl, you must be smart! I was always the pupil, haha! I too am a TaxAct fan. I need to think of ways to promote/observe Lent via Social media too…. I am so loving reading Mama Needs Coffee right now since she moved to Italy. She goes to the market everyday, and she is the only person I “know” that does that! So tutoring…talk to me about it. Do you go through tutor.com? Brainfuse.com? Is it possible to tutor through more than one site, or does that depend on your tutoring contract? Is it a reasonable pay based on time spent? I’m really thinking about doing that once Little Monster is here and I want to have all my ducks in a row.